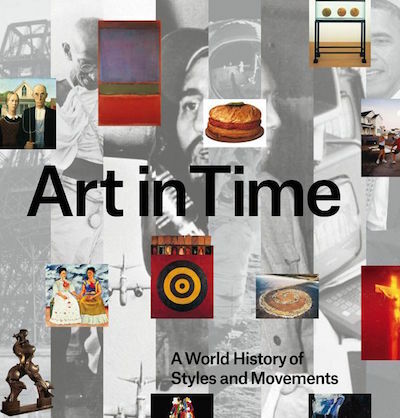 Art In Time: A World History Of Styles & Movements, edited by Tom Melick, is a history of art in reverse chronological order, from the present to the past. It's published by Phaidon, which also published The Art Museum, The Art Book, The 20th Century Art Book, Design Classics, The Design Book, and the Themes & Movements series. 150 'isms' or artistic styles are included, each in an individual chapter. There are 600 illustrations, including most major works (though not Leonardo's Mona Lisa or Last Supper). 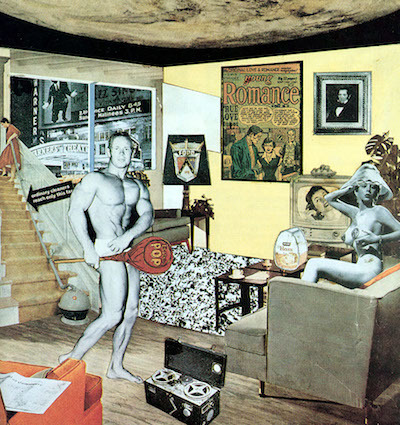 Only a handful of the illustrations are full-page, though they're well chosen (Michaelangelo's David; Picasso's Les Demoiselles d'Avignon; Monet's Impression, Sunrise; Richard Hamilton's Just What Is It That Makes Today's Homes So Different, So Appealing?). The book's scope extends beyond the Western canon, to include art movements from India, China, Japan, and Africa. It also features lesser-known Western isms, such as Luminism and Photo-Secessionism. 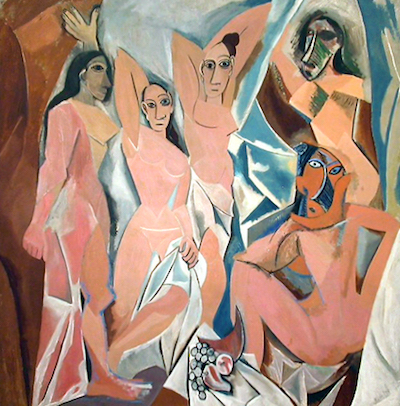 Due to its proliferation of isms, modern art receives significantly more coverage than other eras: the twentieth century spans almost 200 pages, for example, while Classical art is summarised in less than ten pages. Each chapter begins with a single-page essay, though this uniformity also seems disproportionate: the 300-year Hellenistic era receives the same space as the Young British Artists, for instance. There are numerous other guides to art isms, including Understanding Art (by Stephen Little) and Understanding Modern Art (by Sam Phillips). Styles, Schools, & Movements (by Amy Dempsey) is particularly useful, with its mini bibliographies and comprehensive coverage of art trends since Impressionism. 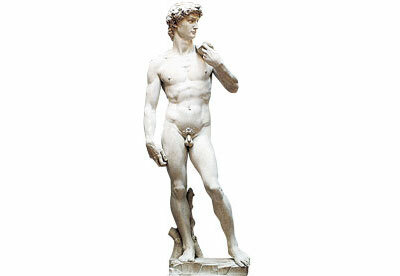 Art In Time has no references, though it covers a wider time period, from Classical art onwards. 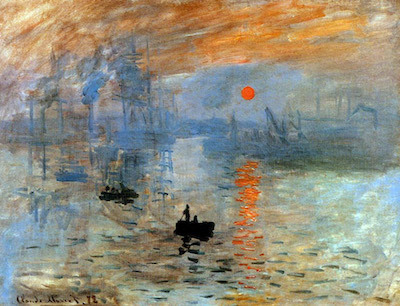 The central concept of the book - placing each art movement within a historical context - isn't really effective, but fortunately it's not important anyway. Each chapter is accompanied by a timeline of key events, though they overlap rather confusingly, and there's no real attempt to make any historical connections in the essays themselves. Disregarding the 'art in time' concept, though, the book works very well as a clear and systematic introduction to the history of art.